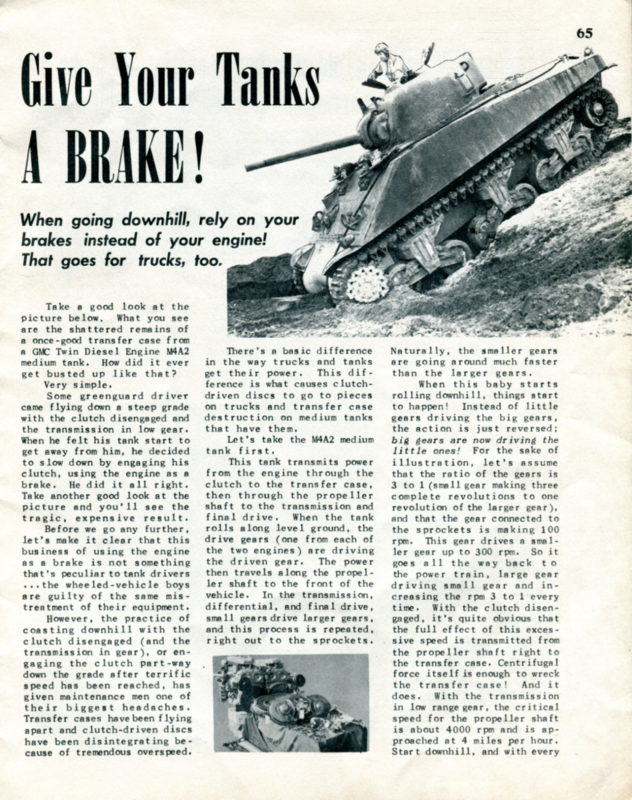 This is the first in a series of posts I’m going to do highlighting the Sherman or M4 series-related vehicle, articles I’ve found. With some commentary, though some of these articles are so good they speak for themselves. Give Your Tank a Brake! This article surprised me, because in the world of 4 wheel drive, compression braking is commonly used to control a vehicle on steep hill descents, and some vehicles have very low gears in their transfer case for this purpose, among others. I bought a Jeep Rubicon because it came with a Transfercase to do this. A tank is not a Jeep though, so I clearly get the point of the article. 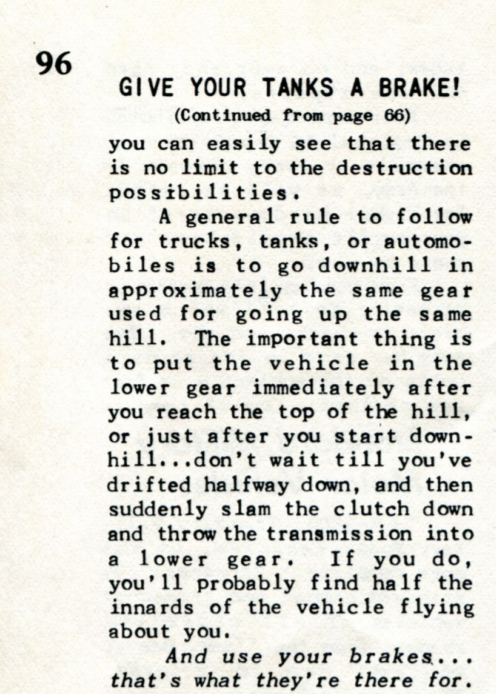 Also, as for using the engine to brake, I’ve never been big on downshifting for that reason, even in cars and Jeeps. I once had a conversation with my wife, who was big on downshifting, about the cost and labor of a new set of brake pads, versus a new clutch. She agreed once we talked about the labor involved.